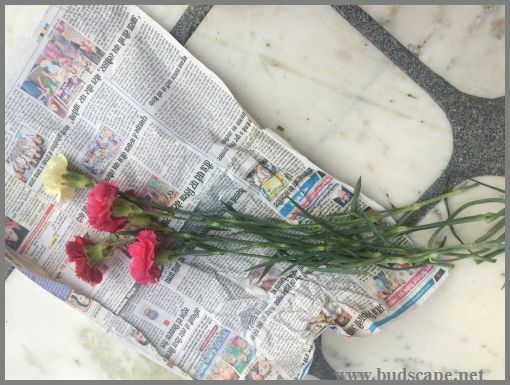 Where i live, two plants always elude me – carnations and gerberas. The nurseries never get them and hence, i tend to hoard them wherever i find them. While i am yet to find good seeds for gerbera, i am never satisfied with the carnations we get from seeds. 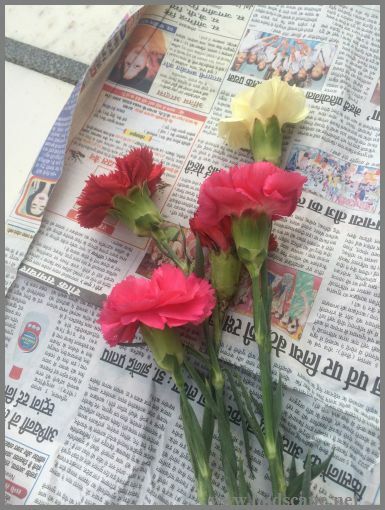 This experiment is a result of my cravings for the big carnations often sold at florists. 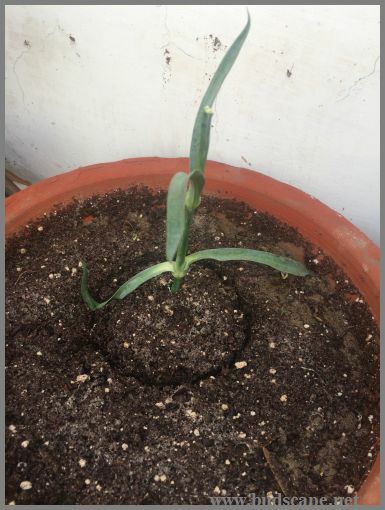 This post is in continuation to an earlier one wherein i’d tried to root a carnation flower stick into a plant. 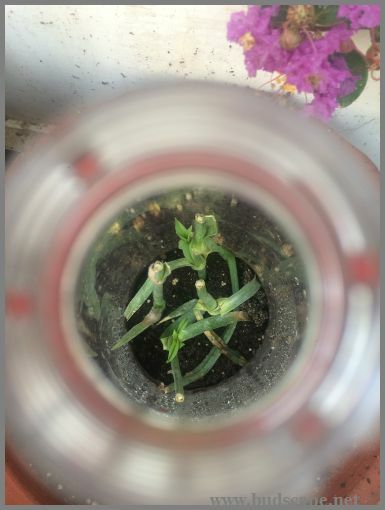 I am also extremely happy to announce that it has been a surprisingly successful attempt and my carnation plant is now happily growing, ready to bloom this season. I am documenting the complete process again for all those who have been trying to experiment with the same. I will also be listing a few pointers/observations at the end of this post, for those trying this for the first time. 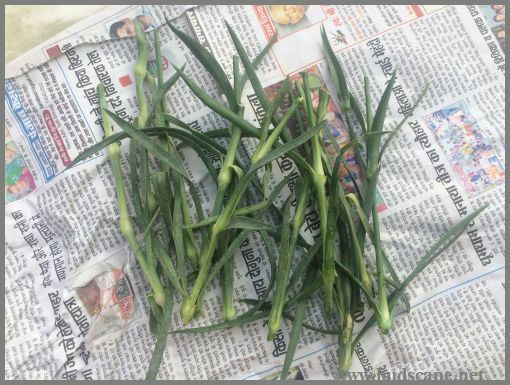 Buy some fresh and healthy carnation sticks, with straight green stems. If you are trying this from a bouquet you received, choose the freshest looking sticks. 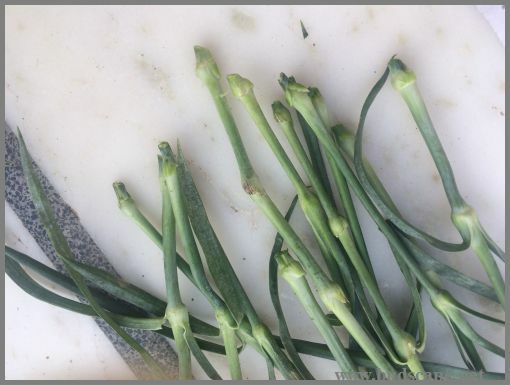 Cut the stems into smaller lengths with 2-3 nodes per stick. 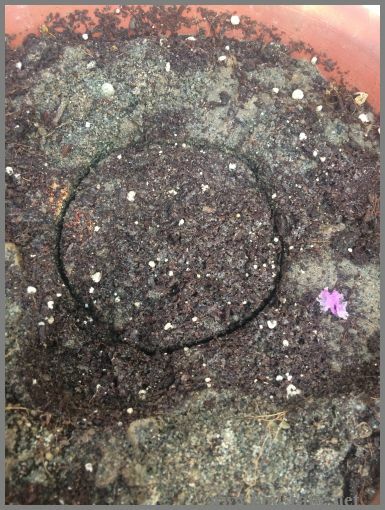 Nodes are important because that’s where the roots as well as leaves sprout from. Cut each stem into sections keeping the cut just below the node. Prepare the soil. 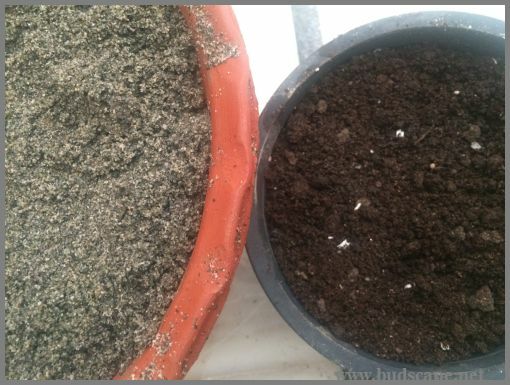 Mix 2/3 compost(or rich garden soil) with 1/3 sand in a pot. I used terracotta. Wet the end of each stick and dip into rooting hormone. I find that using rooting hormone yields better results. I bought this one from Sutton seeds and it works great! Stick in the pot making sure the last node is at-least 1″ deep into the soil. 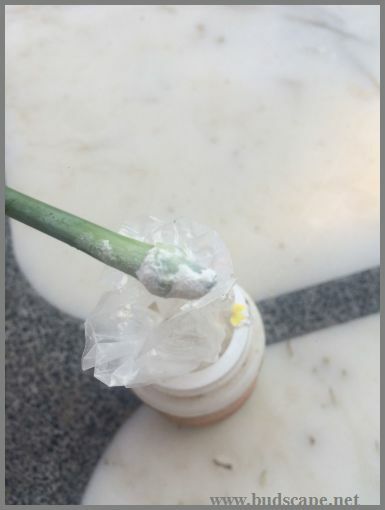 Cut off the base of a plastic bottle. 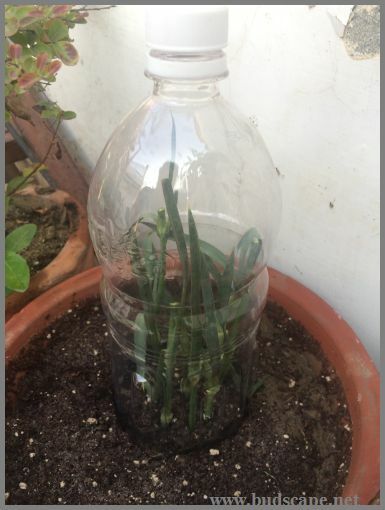 Spray the cuttings with plain water and cover with the bottle. Keep the bottle cap on. 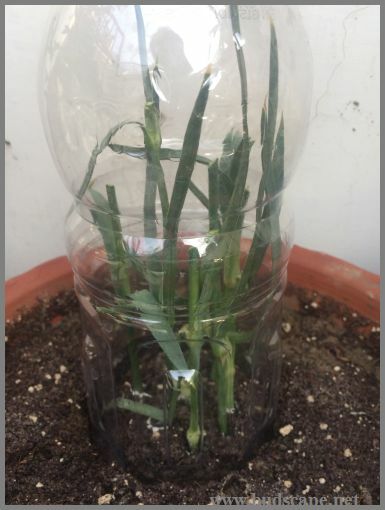 This will retain moisture while the cuttings root. 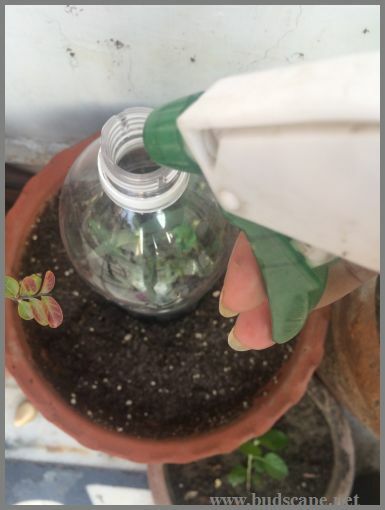 You can open the cap to mist the cuttings and put it back on. That’s it! 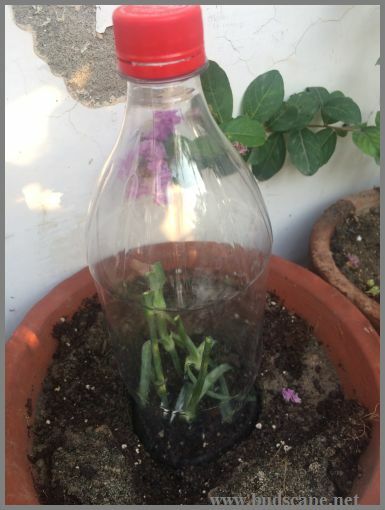 Keep the pot in semi-shade and mist only when you see the inside of the bottle almost dry. Water the pot sparingly. It will be a few days before you see fresh growth. Once you spot it,loosen the bottle cap. After a few days, start removing the cap for a few hours and then put it back on. 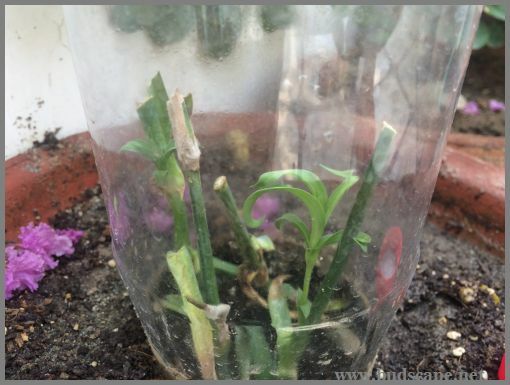 Once the fresh growth looks noticeable, remove the bottle but keep the pot in shade. Enjoy your new plant!! 1. 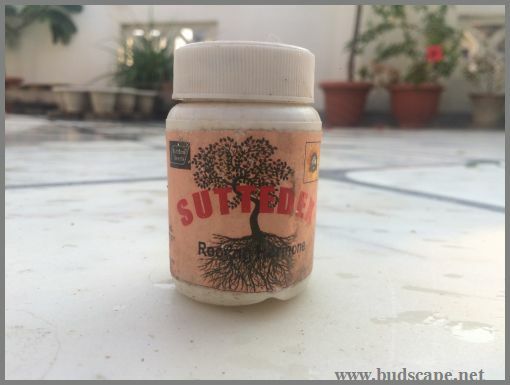 Success rate is moderate and depends on weather. I did this while the weather was still moderately hot and had 50% success. Some cuttings died later due to heat. 2. Do not over water or over mist. 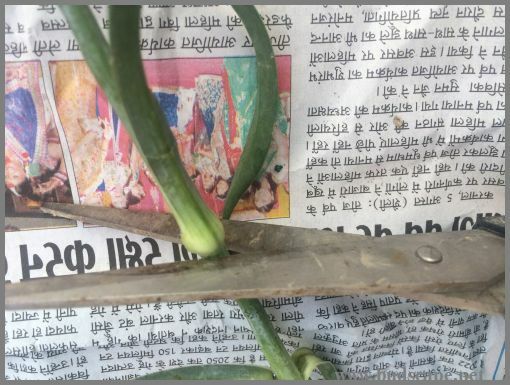 Too much water will cause the cuttings to rot before they can sprout. Follow your instincts here. 3. Propagate in a pot where you can leave it for a while to grow. If you transplant it too early, it may die. I will let mine grow in this pot for the season and transplant only after a few months. 4. Rooting hormone really helps. Try not to skip it. 5. Fresher the stick, higher the chances. Press to stick with your fingers to see if it feels stiff. If it is not, do not use. 6. If you are buying some for this purpose, keep all the equipment ready and plant as soon as you get home. It is not advisable to keep them in water at home. 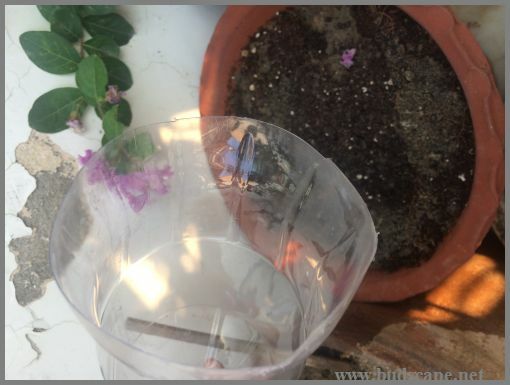 If you have to, insert only the bottom 1″ in water and cut off that part before you begin. Really interesting blog. This is something I’m also doing at the moment. 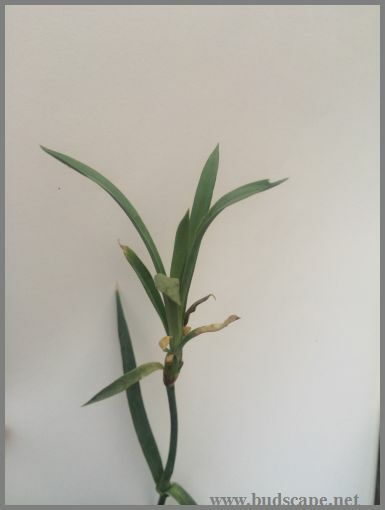 One tip for you – when the sticks have rooted and you get new growth you will get better plants if you remove the new sideshoots and root these (they should root more easily anyway). 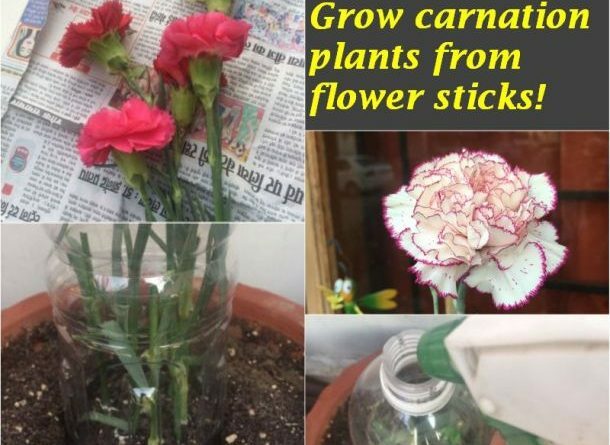 It takes a bit longer but rooted flower stems don’t provide a very good shape for the carnation plants as they grow bigger. Thank you for stopping by and for the tip. Will definitely try the same next time! So grateful I happened upon this post. I have no luck starting plants from seed and love the scent of carnations. Can they eventually be transplanted to a larger pot on patio or into garden bed? I really appreciate any advice. yes of-course!! 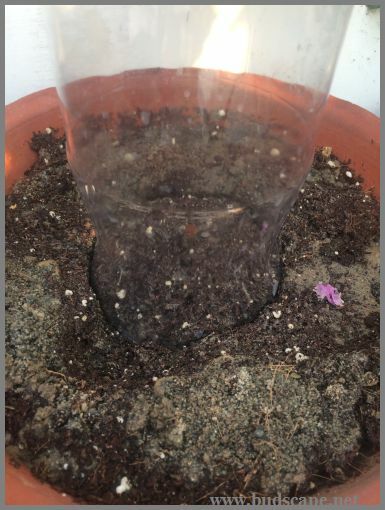 just the let the plant settle a bit after it has rooted.. maybe after a month or two when it starts growing, u can move it anywhere you like. 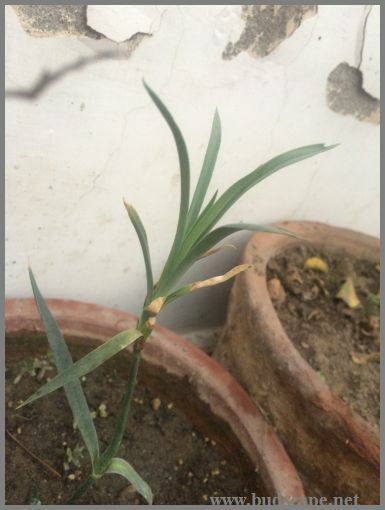 Do take care to transplant in a pleasant weather avoiding direct sun during the process. Mine looked a bit sad after i moved to bigger pot and also dried out in some parts but recovered soon 🙂 Goodluck! do let me know how it goes for u.. Valuable info…..thank you for sharing. Where do you get the sand from please? Where do you get the sand from? Hi! i borrowed some from a construction site. I’m just gathering information to try this! Carnations are my favorite cut flower! My mom grew them when I was a girl, 65 now!! Lol wish me luck!!! And thank you for all of the wonderful information! !